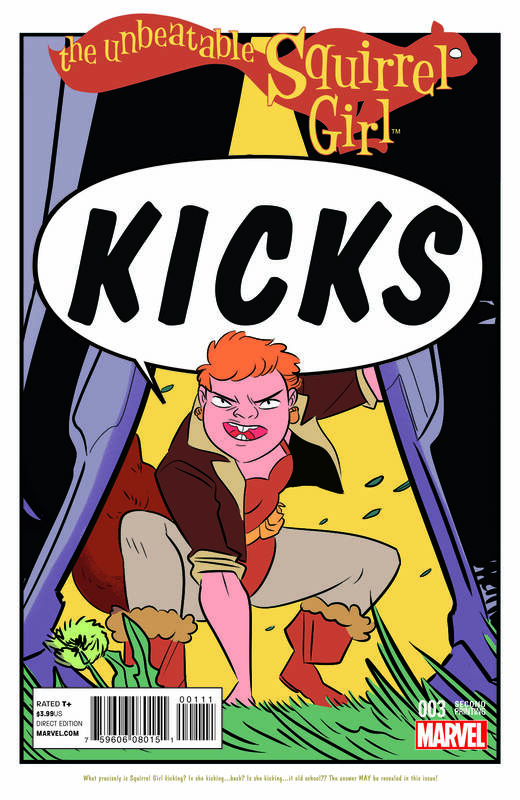 New Printings For UNBEATABLE SQUIRREL GIRL #1, #2, #3 & #4? THAT’S NUTS! Is she tough? 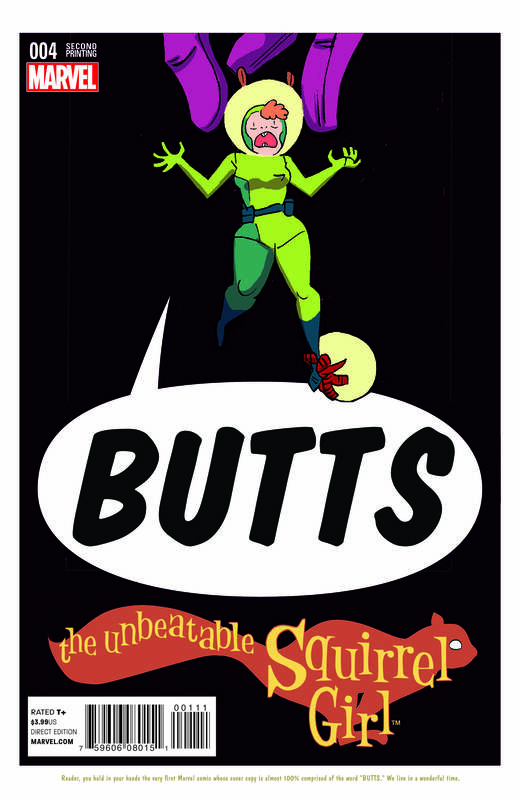 Listen bud: she’s got partially squirrel blood. 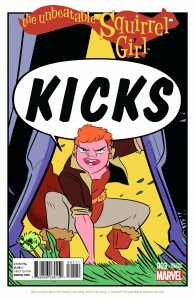 And she’s also got new printings coming to comic shops this June! 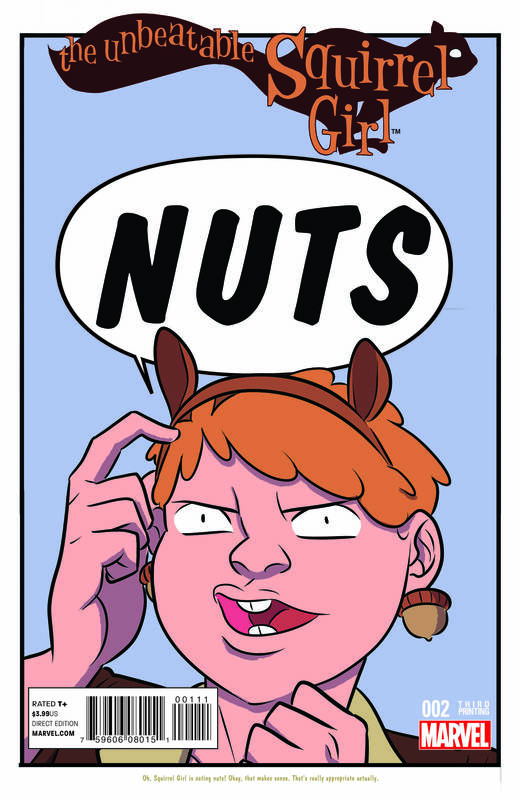 That’s right, the first four issues of THE UNBEATABLE SQUIRREL GIRL are coming back to the shelves, sporting four new connecting covers featuring art by Erica Henderson and new “alt. text” by writer Ryan North! 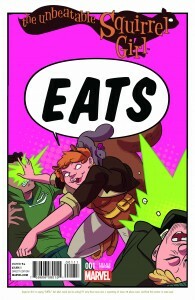 Together the covers spell out Squirrel Girl’s catchphrase: EATS NUTS, KICKS BUTTS! Jump on board the hit series from the very beginning with these new printings! 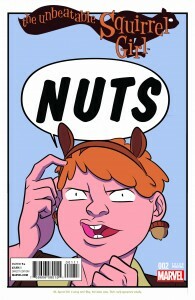 Marvel as Squirrel Girl braves collegiate life and makes new friends! Gaze in wonder as she, uh, breaks into Avengers Tower to steal Iron Man’s armor! (It’s for a good reason, promise!) Witness her go tail to toe with the deadly Whiplash! Gape in awe as she and her stalwart squirrel companion Tippy-Toe take down Galactus, the freakin’ Devourer of Worlds!!! Now is your chance to get caught up on the series that has the industry and fans everywhere going nuts! 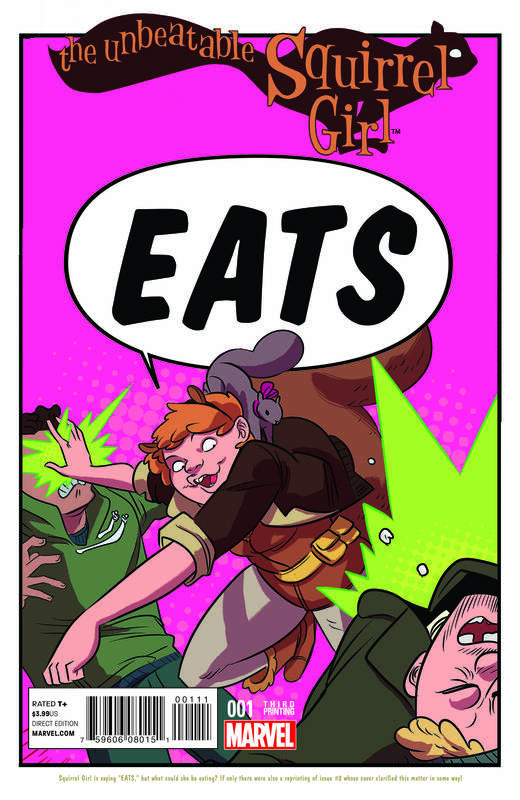 Don’t miss the new printings of the first four issues of THE UNBEATABLE SQUIRREL GIRL when they scamper into comic shops this June!